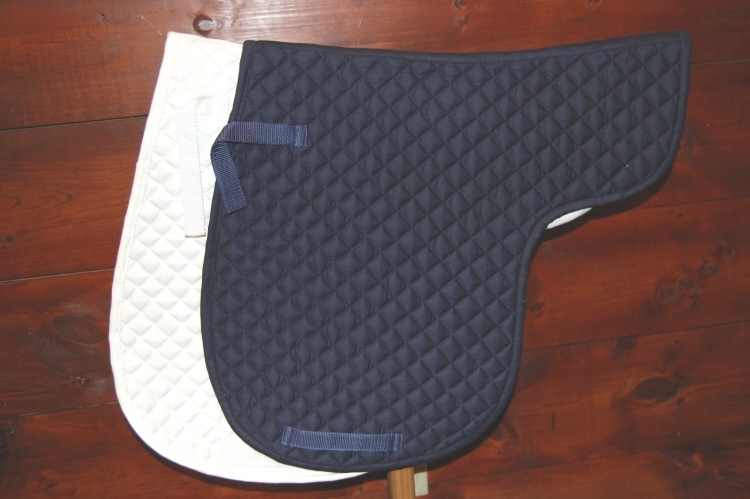 HorseSmart Tack's Contour English Quilted Dressage Saddle Pad. 100% cotton twill pad features a shock absorbing insulation between layers. Your horse really can tell the comfort difference. Features 2.5cm mini quilted diamond pattern and nylon girth loops and billet straps. The best store builder by ShopFactory powers D684. All-in one store builder and eCommerce software.